In case you’ve never been to a PAX show or watched them on Twitch, Acquisitions Incorporated is a hysterical group of people that put on regular live (and livestreamed) D&D shows, and has become one of the pre-eminent “celebrity” D&D games out there. Now, thanks to another huge collaboration between the good folks at WotC and Penny Arcade, we’re getting an official Dungeons & Dragons sourcebook which promises to deliver “hilarious fantasy antics” straight to your very own tabletop this coming June. 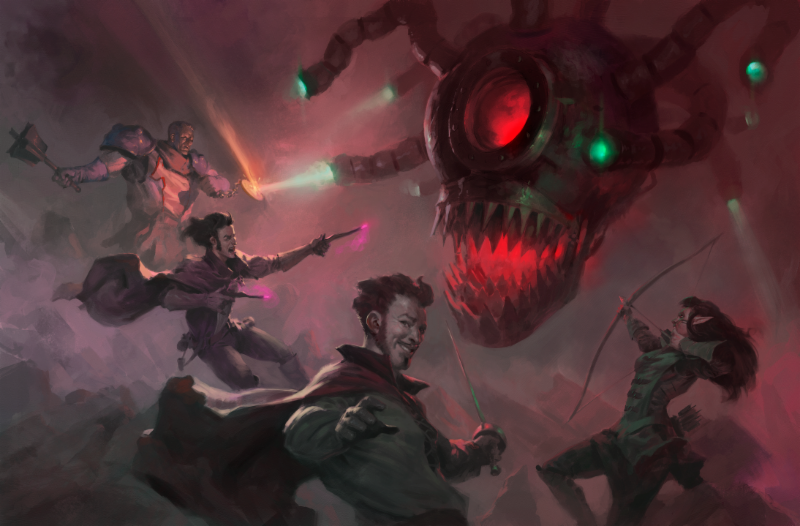 The new sourcebook features an exclusive adventure module designed to get players right into the comedic vibes of AcInc., and also includes a new playable race, brand new spells, and a whole bunch more. AcInc. is as big as they are for a good reason, and if your D&D group is like mine, it’s probably just as tongue-in-cheek and lighthearted rather than focused on the serious dark fantasy elements that can come with other campaigns. I’m stoked for this sourcebook, and as soon as we get one in-house, I’ll be sure to get some impressions up here as well.